I would like to answer, at least partially, my question 61785 of Sep 4. At the moment it has no answers. The difficulty is that the answer window is not displayed, at least to me. 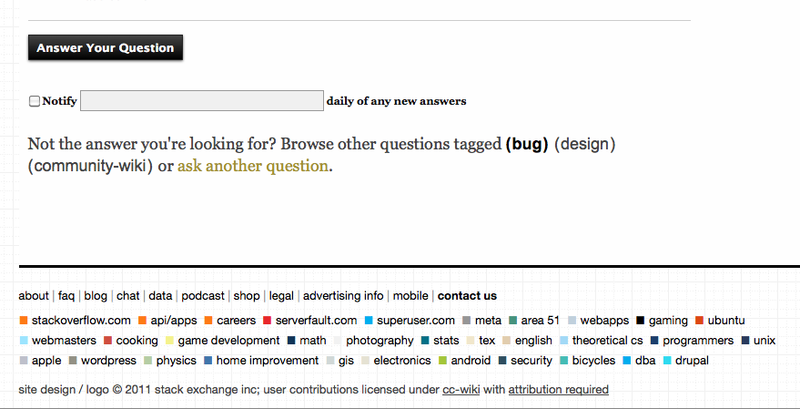 Added: I just have to click the "Answer your question" button, as commented by Theo Buehler. I just have to click the "Answer your question" button, as commented by Theo Buehler. How can I add spacing to my answer here? How to determine which question/answer was deleted?